The internet has a number of websites that are either fraudulent, fake or a scam. The very existence of such websites has indeed become a sad fact of life. On the other hand, the evolution of the internet has also brought with it several convenient advances in the way we bank, shop, and also interact with the world around us. The growing dependency on the use of websites for almost all our essential daily transactions insists on the need to adopt new and efficient web security measures that will help you to check if a website is secure. This article will present a few tips that will help you to check if a website is secure as a result of which all your personal details and web related activities will indeed be protected from hackers, malware attacks, and other such website-based attacks. Before clicking on a link, make sure you are aware of where it would to take you. You can just mouseover over any link to verify if the URL it is really linked to the site you want to visit. Furthermore, ensure that the URLs are spelled correctly instead of just glancing over the text on the web. Hackers are aware of this and hence they will mostly substitute visually similar characters to trick users into visiting their phishing sites and innocently giving away their credit card numbers, passwords, and other such private data. The most popular web browsers are available with security features to help users stay safer online. These inbuilt browser tools are capable of sending Do Not Track requests to websites, blocking annoying popups, disabling unsafe Flash content, stopping malicious downloads, and controlling which sites can access your microphone, webcam, etc. Hypertext Transfer Protocol (HTTP) is considered to be the fundamental protocol for sending data between your web browser and the websites you visit. HTTPS is just the secure version of this with “S” standing for “secure”. 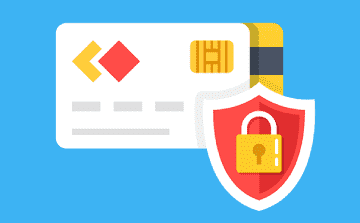 HTTPS is mostly used for online shopping and banking activities, as it encrypts your communications in order to prevent criminals from stealing personal data. Check for the padlock that should be available in your browser’s navigation bar. If you get to see it, you can be sure that the site you’re on is using a trusted SSL digital certificate and hence your connection is protected. If a website fails to have that padlock, never enter your credit card number or password. To quickly analyze if a website or a specific URL is safe, use an objective website safety checker like Google Safe Browsing. You can install and use cWatch, a web security tool developed by Comodo. Hackers are known to create messages that trick users into installing the malware all by themselves. Scareware is an approach used by hackers to frighten people into believing that they have been infected by a virus and then making the user download “Internet protection”, that is actually malware in disguise. Once installed, malware can actually result in the theft of not only your personal data, but all of your customer’s data. Customers will not want to use your services if they happen to discover that their information is not safe. They will quickly find a safer solution for their requirements if website owners fail to act fast in getting rid of malware that could infect their websites. This is where cWatch plays a vital role by proving itself to be an efficient managed security service for websites and web applications. This web security tool is available with the following features that will help secure all online activities and also help you to check is a website is secure. Comodo’s secure CDN is a network of globally distributed servers designed to enhance the performance of web applications and websites by delivering content using the closest server to the user and is proven to increase search rankings. Security: This is the only web services platform built on security along with a fortified machine learning core capable of aggregating, analyzing and syndicating real-time threat data both to and from each of Comodo’s secure services. High Availability: Since the CDN will be serving content, with virtually unlimited capacity, traffic can be scaled up and down automatically. Unexpected to surges in traffic will no longer be a challenge to the server, as it will be able to maintain speed and optimal speed under serious conditions. Content Protection: By putting in place flexible key and proxy authentication, you will be able to protect “premium/paid” content and prevent hot-linking. This feature offered by Comodo enables organizations to adopt a proactive approach to protect their business and brand reputation from malware attacks. Websites are scanned on a daily basis to quickly detect and eliminate malware that could infect the website. Detailed reports are provided via the management console with full event details and resolution capabilities. Detecting malware, isolating the infection, and removing it solves the immediate problem. cWatch Website malware removal services via the CSOC will help in eliminating all traces of infections and related artifacts or files, not just the primary source of the infection. Comodo’s security analyst will also perform a thorough analysis to detect the root cause and events that led up to a detection. This will also help organizations to understand what processes, files, and registry keys were touched by the malware so that they minimize any downtime. cWatch Web also helps in stopping threats before they could hit an organization’s network. Advanced security analytics engine that monitors increasing threats all over the world is combined with real-time data from web traffic in order to provide early warnings and indicators that will help recognize and block new threats, delivery techniques, and zero-day vulnerabilities. A team of always-on certified cybersecurity professionals providing round-the-clock surveillance and remediation services. Powerful, real-time edge protection for web applications and websites providing enhanced security, filtering, and intrusion protection.